You'll be £19.99 closer to your next £10.00 credit when you purchase In Love and War. What's this? The manner of their meeting was unprecedented. During the lawless mayhem that followed the capture of Badajoz by Wellington, a 14 year old Spanish girl sought the protection of Captain Harry Smith. They fell in love and married shortly after. From then on their lives and careers were inextricably linked and Juana not only followed her able, brave and ambitious husband but built her own formidable reputation. 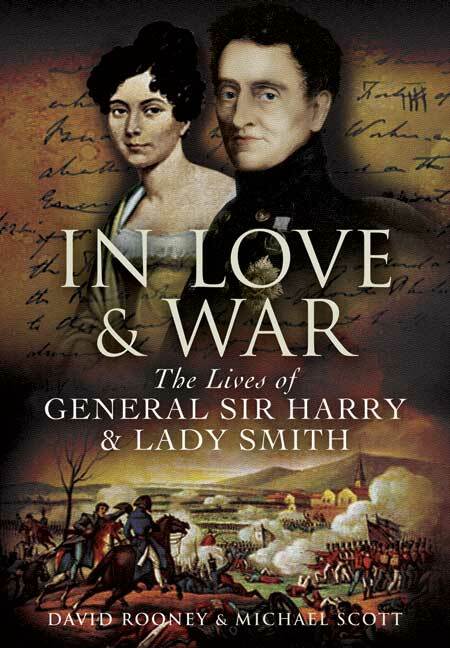 The book describes their lives together starting with the remaining battles of the Peninsula War. Harry Smith was already a favourite of Wellington, who insisted most unusually on giving away Juana in marriage. His card was marked and his career prospered. He distinguished himself in numerous campaigns and theatres. Most particularly he was credited with the victory at Aliwali in India. It will however be the couple's achievements and legacy in South Africa that they are best associated with, after the exceptional circumstances of their first meeting. Travellers to Natal are reminded of this by the towns of Ladysmith and Harrysmith. The outlines of their lives are known to many, but the details in this carefully researched book will come as a revelation.